Tate Publishing brings the best new writing on art and the highest quality reproductions to the widest possible range of readers. 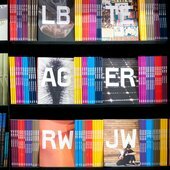 You can find our latest catalogue and backlist here. 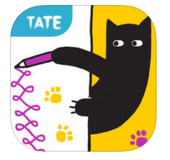 Alongside exhibition-related and art-history titles, Tate Publishing also produces an innovative range of books for children that will surprise and delight the next generation of art-lovers. Download the 2019 and 2018 catalogues to see our new titles and full backlist. To view the catalogue in browser, please make sure you have the most up to date version of your browser installed. Tate Publishing is committed to reducing its impact on the environment and adheres to sustainable working practices. Our books are printed on Forest Stewardship Council (FSC) or equivalent certified paper stock. We choose suppliers, printers and manufacturers who share our ethical values to ensure that workers operate under fair, safe and well-paid conditions. Also available as a digital or print picture book. Trade orders within the UK can be placed direct with Tate Publishing or via leading wholesalers, including Bertrams and Gardners. You can open a credit account using the account opening form [PDF, 74 Kb]. For orders and customer services, please contact Tate Publishing direct, or the relevant agent or sales representative for your area. Agents and representatives for Tate Publishing are listed below by region. All invoices are to be paid by the customer in accordance with Tate Enterprises’ stipulated payment terms. Tate Enterprises will notify the customer of the stipulated credit period, in writing, when opening the customer’s sales ledger account and reserves the right to suspend delivery of further orders if payment terms are not met. Delivery of Goods within the UK and Eire is free of charge by our nominated carrier. For low weighted deliveries, Tate Enterprises reserves the right to send goods through a normal postal service and as such will be unable to provide a proof of delivery on these orders. Any claims for non-receipt of items shipped by post will be at the discretion of Tate Enterprises. Delivery of goods outside the United Kingdom and Eire is at the customer’s expense and liability, unless otherwise agreed in writing with Tate Enterprises. Any claims for shortage or damage MUST be submitted within ten working days of receipt to Tate Enterprises’ Customer Services Team. Risk in relation to any goods shall pass to the Customer on delivery of the goods to the customer. All returns must be authorised by Tate Enterprises Customer Services prior to return. You will be issued with a letter of authorisation and a list of books with their corresponding invoice numbers. These must accompany all returned books. Overstock returns will only be authorised three months after publication or purchase date and within 12 months of publication or purchase date. All books returned to us must be packed securely. Any damage that occurs in transit is the responsibility of the customer. If authorised returns arrive damaged, they will not be credited. Instead, you will be notified if you prefer to have them returned to you at your own expense or disposed of by Tate Publishing. If no reply is received within two weeks of letter of notification the customer will forfeit any rights to the books concerned and Tate Publishing will reserve the right to destroy the books. We can only credit books returned to us in a mint, re-usable condition. Pencilled-in prices and stickers must be removed. Please note that any incorrect shipment, shortages or damaged goods received must be reported to Customer Services within 10 working days of receipt. All Tate Publishing products including dated printed items such as diaries and calendars are firm sale only and may not be returned. Due to the large volume of submissions we receive, it is not always possible for us to provide a written response to every proposal. If you have not received a response after three months of submitting your proposal, it unfortunately indicates we do not intend to pursue the proposal for publication. To enquire about the availability of foreign rights, or permission to reproduce text extracts from a Tate Publishing publication, email Hannah Robinson at hannah.robinson@tate.org.uk or call +44 (0)20 7887 8866. 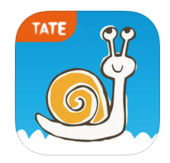 Find out more about Image licensing at Tate. To request review copies or images to accompany your review, or to discuss the sale of extracts or interviews with authors, email Binita Naik at binita.naik@tate.org.uk or call +44 (0)20 7887 8625. Follow @Tate_Publishing on Twitter and @TatePublishing on Instagram for news on the latest Tate books.